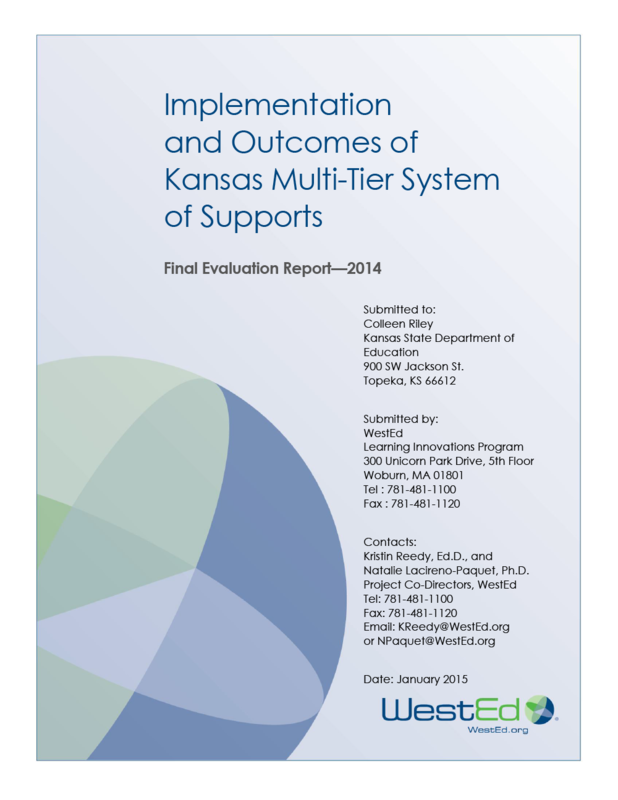 Implementation of multi-tier system of supports (MTSS) has grown rapidly in Kansas and is a key strategy for turning around low-performing schools in the state. MTSS is designed to improve outcomes for all students by instituting system-level change across the classroom, school, district, and state. Such systemic change is accomplished by developing a coherent continuum of evidence-based, systemwide practices to support a rapid response to each student’s academic and behavioral needs. MTSS features frequent data-based monitoring for instructional decision making. 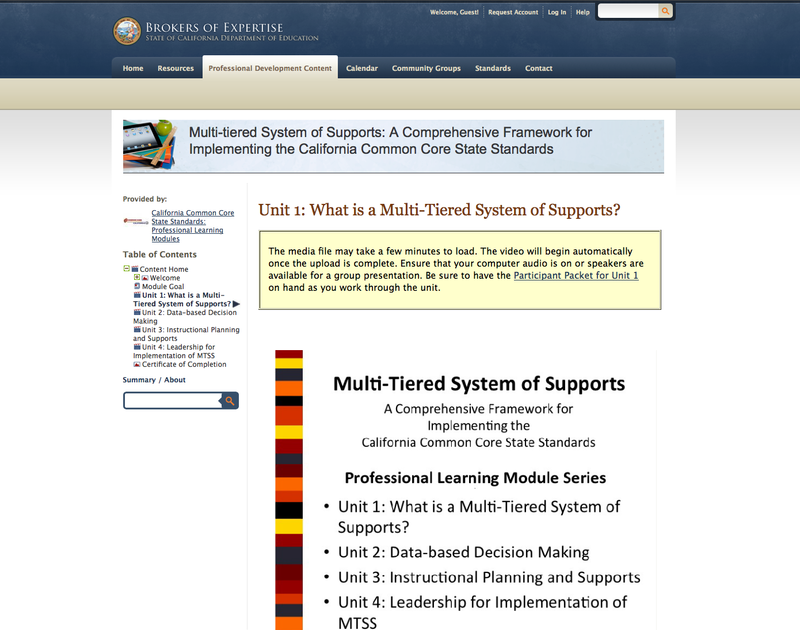 MTSS core components include evidence-based curricula, high-quality instruction, a comprehensive assessment system, data-based decision making, effective intervention, fidelity of implementation, ongoing professional development, and leadership within an empowering school and district culture. The evaluation team, led by Kristin Reedy and WestEd’s Natalie Lacireno-Paquet, found that Kansas MTSS is substantially contributing to improved student outcomes at the local level, as well as benefitting teachers, improving instruction, and supporting better school functioning. Download an evaluation brief of this report. How do school districts transition to the Common Core State Standards (CCSS) and Next Generation Assessments when students have gaps in knowledge and skills needed to succeed with the new performance measures? 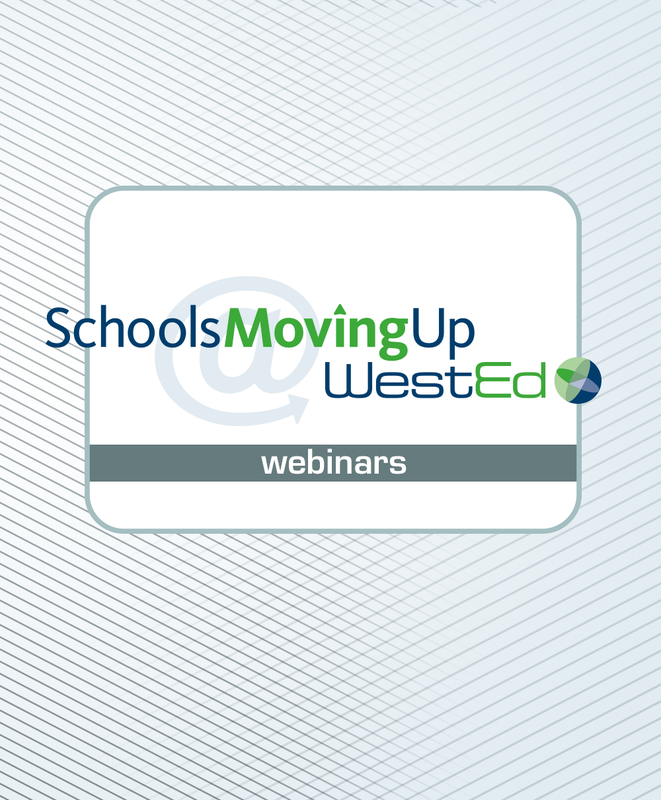 This archived webinar addresses how an effective multi-tiered academic Response to Intervention framework can help schools close the knowledge gap to meet the demands of the new standards. This free six-hour online professional development module guides educators through the process of using a comprehensive framework to create systemic support systems that address barriers to opportunity and success for all learners. School and District Special Education Services: Improving Outcomes for Children, Youth, and Young AdultsImprove outcomes for all students with special needs. Participate in customized technical assistance and coaching. A Comprehensive Approach to School and District ImprovementTake a systemic and sustainable approach to improving your school or district.